Visit a country known for castles, monasteries and cathedrals, and the long stretch of shoreline known as the Costa del Sol. Visit Gibraltar and Morocco, then relax on the golden sands of the Mediterranean. A visit to the area is not complete without trying the outstanding dining and non-stop nightlife of Spain. From the Malaga airport, follow the signs for Benalmadena and Algeciras (Road E-15). 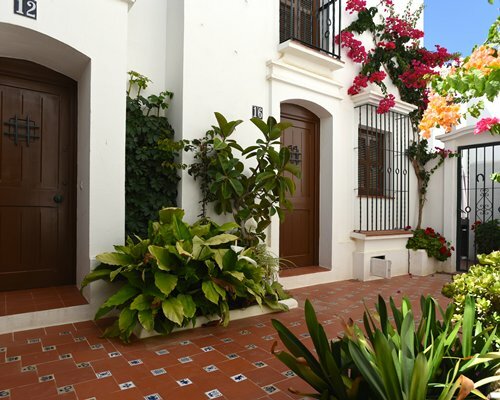 After passing through Marbella, travel about 20 kilometers to Villacana, following the KM 165 signs. Villacana will be on your left, but you must stay to the right and take the under pass (cambio de Sentido), to access Villacana. If you miss the exit, the next one will be about one kilometer further. Look for the 'community office' located on the south side of the property. Security depsoit is $100 (refundable at checkout).